UPDATE: Bedmo Disco news belch! There’s an awful lot happening at Bedmo Disco HQ right now, so we thought we’d update you on forthcoming attractions – new releases, DJ dates, radio appearances, that kind of thing. After a few weeks away, we’re back on the virtual wireless today (Monday 23rd April) for our regular slot on Passion Radio Bristol. From 5pm BST (4pm UTC) we’ll be dropping our usual blend of great music old and new, flitting between genres and giving you a few sneaky previews of forthcoming label material. You can tune in online at http://www.passionradiobristol.co.uk. We’re always keen to hear what you think, so during the show don’t forget to send us your tweets – shout-outs, requests, what you think of our choices etc. You can tweet at either @bedmodisco or @passionrb – we’ll be keeping tabs on both accounts. 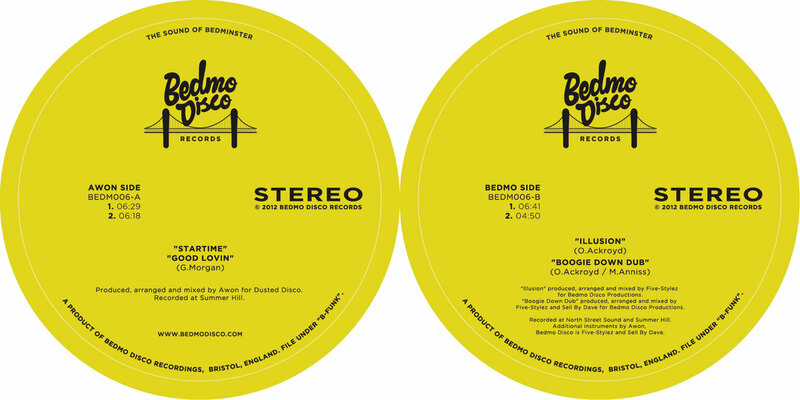 The next Bedmo Disco Records release comes from our pal JIMMY THE TWIN. It’s called “505 Funk (With An 808 Boom)” and features four colossal, heavyweight re-edits in Jimmy’s unique style – all featuring additional percussion from vintage drum machines. The feedback so far has been immense, so we’re hoping this one has legs and will do well. Before you ask, it will also be coming out digitally, but not for ages. Make Jimmy smile (and us, too) and buy a 12″ when it hits stores next Monday, April 30. 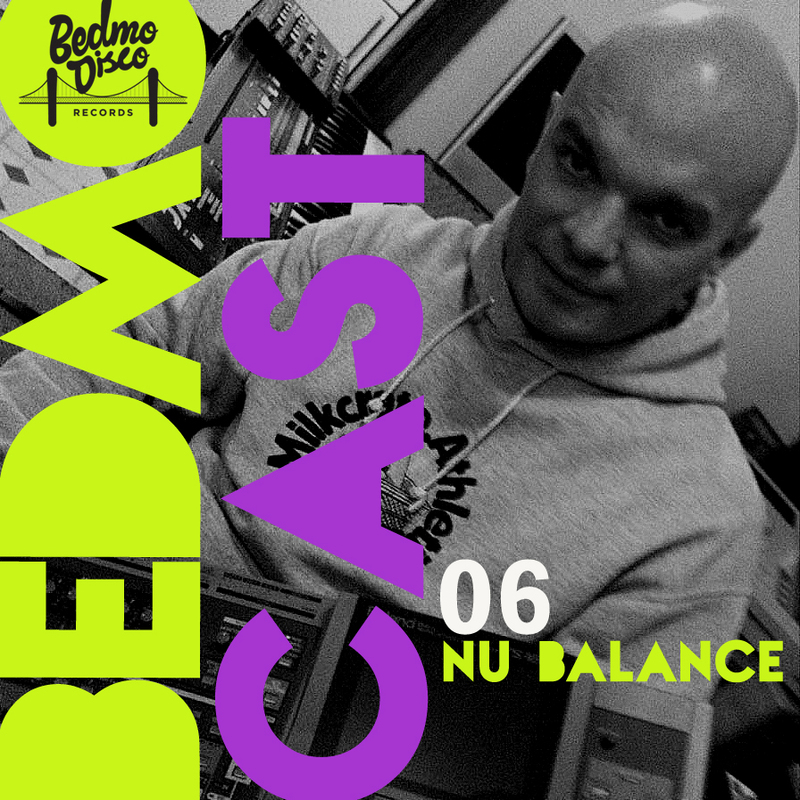 Jimmy has recorded a special edition of our BEDMOCAST mix series, which we’ll be sticking online later this week. It’s ace, so keep ’em peeled for the upload! The big news from Bedmo Disco HQ is that Awon and Bedmo Disco’s new EP of original productions is finally complete, mastered, and ready to be pressed onto heavyweight vinyl. It’s called B-Funk and will be out in early June on blue vinyl – just in time for the summer festival season. The idea for the EP came about last autumn, when we proposed to Awon the idea of getting together and making some tracks. He was keen, so we spent two or three nights a week for a couple of months working on tunes. Awon played us some things he was working on and we lent a hand on some or offered advice on others. We also wrote a number of tunes together, and he played instruments/MPC on some others we’d been working on. The result is an EP that we’re really proud of. Hopefully other people will enjoy our handiwork, too. On the A side you’ll find two synth-heavy boogie/electrofunk jams from Awon with a contemporary twist. Heavily inspired by old dubs of original ’80s synth-funk/electrofunk records, both “Startime” and “Good Lovin” revolve around insatiably nagging basslines, dubbed-out synth lines (many played on his trusty Roland JX-3P) and original drum machine percussion. Think Tiger and Woods making 1983 New York boogie dubs, and you’re close. Sort of. Either way, they’re ace. On the B you’ll find two tracks from ourselves, Bedmo Disco. The first, “Illusion”, was brought to a recording session by Five-Stylez in almost complete form. A few tweaks and additional playing by Awon later, it was finished. We’ve been playing in relentlessly in our sets since then and it’s a bit of a beast – it rarely fails to get a good reaction. We call it “voodoo boogie”, ‘cos it’s chuggy, druggy, intoxicating and features a monster synth bassline. It’ll fit into house sets, and has a house kind of groove and sensibility, but it’s very much an electrofunk record. The other track of ours on the EP is “Boogie Down Dub”, a track originally recorded for a Big Chill Bristol promo video last year. We dusted it down, rearranged it and added a bunch of new percussive elements (mostly played in by Awon, for the record). According to one Bristol-based DJ, it sounds like Yello. We’re not so sure. It’s certainly synth heavy and again features a nagging bassline. We’ll post preview clips of the whole EP on Soundcloud very soon. In the meantime, we’ll be busting out the masters on Passion Radio Bristol this afternoon. Finally, we have a few DJ dates to give you a heads up about. Firstly, we’re delighted to announce that we’ll be playing the Shambarber tent/arena/area at Love Saves The Day, a brand new festival which will take place in Castle Park, Bristol, on Sunday, June 3, alongside Behling and Simpson (disco set) and many others. It should be a lot of fun. Aside from that, you can also catch us upstairs at the Big Chill Bristol on Saturday May 5 and warming up for Cosmic Boogie at the same venue on Saturday June 2. We’ll also be having a special fifth birthday bash in June – stay tuned for more details. If all that wasn’t enough, we’ll also be at Soundwave Croatia from July 19-22, playing an Awon & Bedmo Disco set. Big tings!